C and I were at Mid Valley Megamall over the weekend for the Pet Expo! But, as usual, first order of the day was lunch. 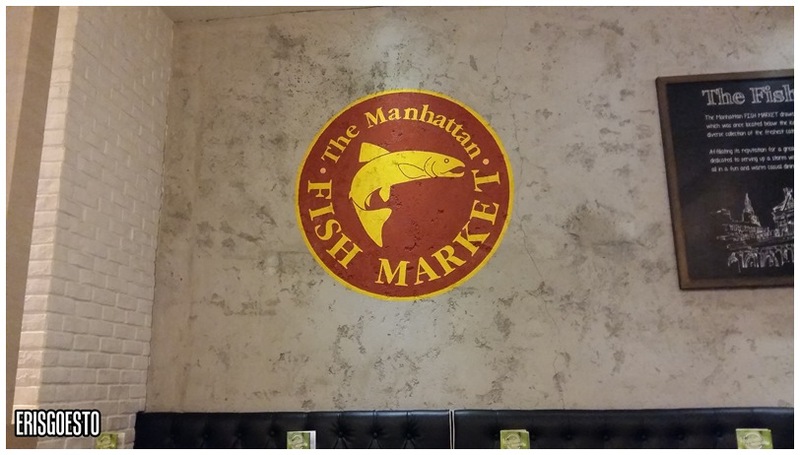 After walking around for a bit, we decided on Manhattan Fish Market. 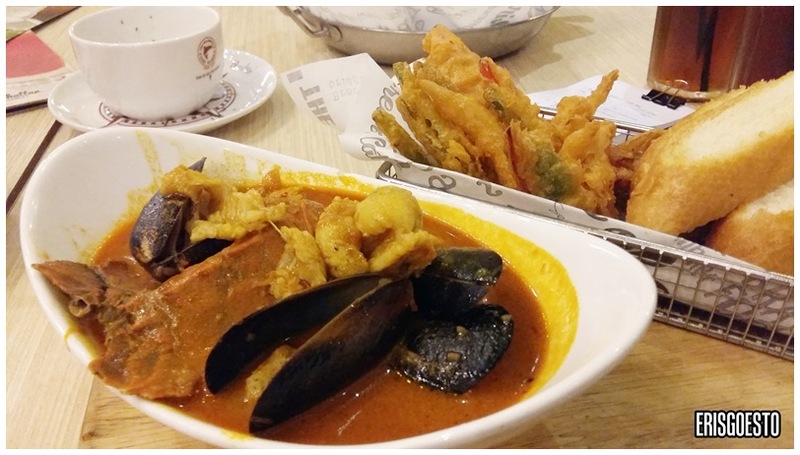 Despite the name, it’s a local chain that serves seafood with a fusion of flavours, from Malaysian to Western and Mediterranean. 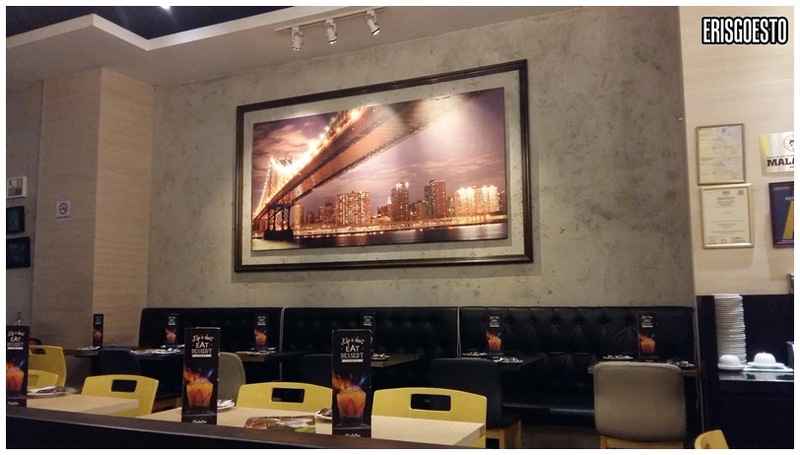 The quality among the different outlets varies, so it’s a hit and miss every time I try a new place. We were the only customers that afternoon coz it was fasting month. There was an odd, stale smell in the air that was faintly like cat poop. They really need to work on their ventilation. 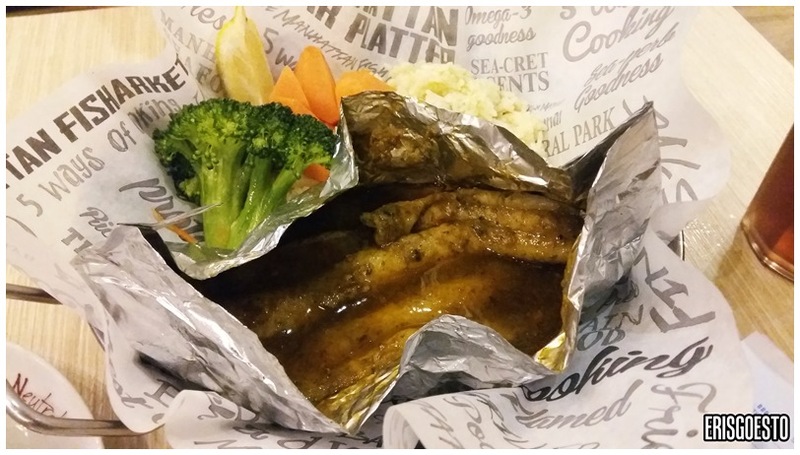 C’s order of baked fish which came served with a side of rice and boiled vegetables. The fish didn’t look too fresh, and C said the sauce was too watery. I had the Curry Hill Seafood. Diners can opt for either shrimp or Slipper lobster (I chose the latter), and the dish comes served with a side of battered veggie sticks and baguette for dipping. The baguette was nice and crunchy; great for mopping up the curry sauce, which was well flavoured. Was a bit disappointed with the quality of the seafood though, as the fish + slipper lobster was on its last legs (you can tell it wasn’t fresh just from the greyish colour – despite the curry sauce on it). Mussels were okay. The veggies were tasty though. My two cents? Give MV a miss.